To replace or not to replace? That is the question — especially when it comes to a big-ticket item like windows. A full-home window replacement can be a costly venture, but often, it is necessary and worth the investment. But before you make such a large investment, you might be asking yourself: Do I really need to replace my windows? If this thought has been plaguing your mind, worry no more. Here are 7 signs that indicate your home would benefit from replacement windows. The most obvious sign of a need for replacement windows is noticeable, physical damage. 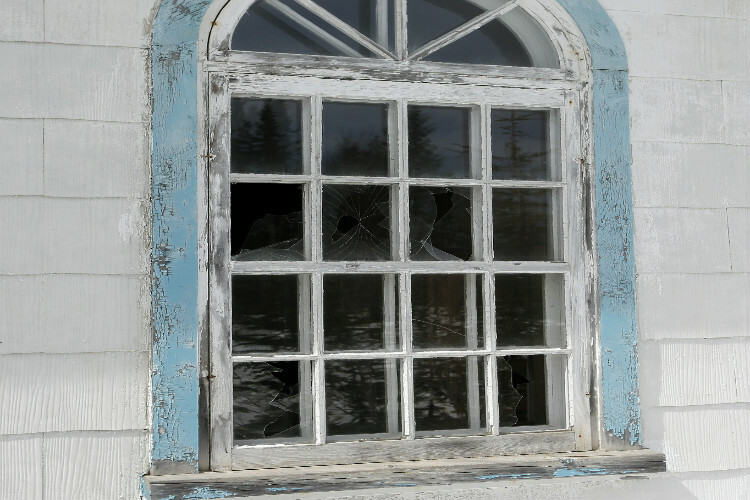 Broken glass, cracked frames, warped panes, rot, and dilapidation are clear indications that your windows are in desperate need of replacement. Not much can be done in the way of salvaging broken window frames, and when it comes to the cost of repairing them, you are better off replacing the windows and reaping the benefits of what modern, energy-efficient windows have to offer. So, when the time comes to replace your windows, do your research to avoid making costly mistakes in your replacement window selection. Have you noticed pockets of cold air near your windows? If so, your windows are likely allowing unwanted airflow. These drafty regions lessen the comfort of your home and indicate that your windows need a closer look. Drafts also mean a lack of insulation. At times, the solution can be as simple as replacing caulking or weather stripping the window, but unnecessary drafts will require complete replacements. Often, drafty windows lead to high energy bills. During winter, any heat that escapes your home (or any cold air that is allowed to enter) will cause your heater to work extra hard and your energy bill to rise. The same goes for a loss of air conditioning in summer. If you notice an increase in your energy bills, your windows may very well be the issue. The causes can range from a crack in the frame to improper insulation and sealing, but sometimes, the type of window is the culprit. Regardless of the cause, if your bills seem to be higher than they should, it’s time to consider energy-efficient replacement windows. Just make sure to research which replacement windows will help increase the energy efficiency of your home. Many different frame materials and even glass types are available on the market. See how you can reduce your energy bill by selecting the proper window materials. Windows are built to last for years — even decades — but no matter how your windows were created, the fact remains that the older your windows get, the closer they come to needing a replacement. As time passes, your windows wear down and begin to diminish in performance and looks. How long your windows will last heavily depends on the materials your windows are made from, whether or not they were properly installed and maintained, and the region in which you live. But regardless of the obvious state of your windows, if they are older than 20 years, it’s time to begin looking for signs of damage. Not to mention, window advancements make modern windows more efficient and secure than older models. Depending on the style of windows your home possesses, your windows can open a variety of ways. They may open vertically, running perpendicular to the sashes. They may swing upward or outward. But no matter the style, they should open, close, and lock properly. When you notice your windows becoming more difficult to push open or close tightly, you know you have a problem, especially if they no longer latch shut and lock. Windows are already the easiest point of access for intruders. Their ability to close and lock properly is therefore extremely important. If your windows are experiencing this issue, it could be due to a bend in the frame, broken sashes, or warping from expansion and contraction. You should contact a professional to assess the function of your windows. Can you hear the sound of cars whizzing down the street while sitting on your couch? Part of your window’s job is to insulate the home from exterior noise. Therefore, a window that lets noise through is not properly insulated. While there may be ways to enhance or replace the insulation of your windows to decrease the noise level, excessive noise levels will require new windows. 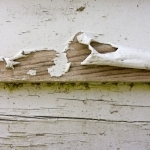 Make sure the seals around your windows are intact, and replace any caulking that is peeling or loose. Consider installing weather-stripping barriers around the windows for additional insulation (which also improves their energy efficiency). However, if a window’s insulation has been damaged and you still experience excessive noise, replacement is likely the only solution. If you are familiar with condensation, you know it appears when a vapor comes in contact with a cold surface. Condensation is normal on the exterior of a window. However, if beads of sweat are appearing between your window panes, you have a problem. This indicates moisture has been able to penetrate your window’s seal due to a defect, and that moisture can cause many problems, including mold or mildew. It can also indicate that the insulating gas in your window has been allowed to escape, rendering that portion of your window ineffective. No complete solution exists for this problem apart from a full window replacement. If you notice beads of sweat appearing between the panes in your window, it’s time to contact a professional. Learn more about how replacement windows can benefit your home. At Lakeside Exteriors, our team of trained and certified exterior contractors is ready to answer your questions and get your home on track with properly performing windows. 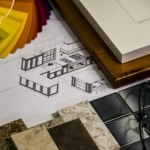 Schedule a free consultation with our team to discuss the right replacement options for your home.